London is a city of secrets and, at first glance, you could be forgiven for thinking that the 21st century cityscape of gleaming glass towers and busy main roads has little to offer you. But, scratch the surface, delve into the backstreets, the hidden courtyards and the tucked away alleyways and you will soon discover that there is much more to London than the well known, and well trodden tourist haunts. Indeed, London keeps her treasures well hidden from all but the most prying of eyes. 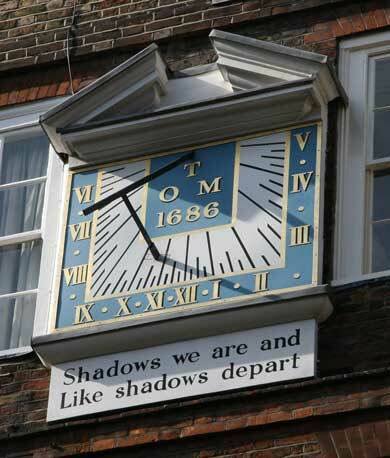 And, on Richard Jones's fascinating and insightful London walking tours, Richard is on a mission to introduce you to the secret and timeless city that cowers behind the modern buildings. Walking tours offer you the perfect way to gain a true appreciation for, and an understanding of London's colourful past and vibrant present. Conducted at a gentle pace, and with plenty of stops for you to take in your surroundings, they make an ideal way to get to grips with the vivid history, diversity of cultures, and the modern verve that are the lifeblood of this fantastic city. In two hours you'll learn more, see more, discover more and experience more than you ever thought possible. And all in the company of one of London's most established walking tour guides, a guide who is also a published author who has written more than 20 books on London and Britain, and a guide who has been devising and leading his walks since 1982. London is a fantastic place, both to live in and to visit, and it has so much to offer visitors and residents alike. But the ONLY way to really discover the many and varied parts of the city is to walk. When you explore on foot, you're there on the ground, absorbing the atmosphere, taking in the sights and the sounds of the City whilst, at the same time, getting a genuine feel for the 2,000 years of history in which the streets of London are steeped. Where else can you walk with Dickens; be enchanted by Shakespeare; be terrified by Jack the Ripper; follow in the footsteps of the Beatles over the World's most iconic pedestrian crossing; hunt for ghosts in timeworn burial grounds; stroll past magical locations where the Harry Potter movies were filmed; stand on the sites of long ago executions; delve into timeless villages that are centuries removed from the modern age; or simply chill out in a 16th century riverside inn or tavern watching the daily comings and goings of the 21st century outside? Where else can you turn a corner and suddenly be transported back into London's past to find yourself surrounded by buildings and courtyards that have changed little, if at all, in over two hundred years? And, the best way to get to these places is on foot. Cars and coaches, quite simply, can't get into the narrow alleyways and hidden backstreets where this lesser known side of London awaits your discovery. "...Walking Tours of London are now a crowded market, but Richard Jones keeps ahead of the pack with impeccable research, and having honed his performance in more than 5,000 tours..."
"...This is amongst the most reliable of the London walks. Richard Jones is a committed storyteller who shares his enthusiasm in the alleyways and hidden courtyards of the city..."
"...The joy of walking about with an enthusiast such as Richard Jones is the discovery of a place you thought you knew; not rediscovery, but truly seeing it for the first time"
"...Richard Jones, a delightfully animated guide, takes his captivated audience past some parts of London its a sure bet they would never see otherwise..."
On a guided walk you are not separated from London's past and present by a glass pane or windscreen - as you would be in a car or on a bus tour. 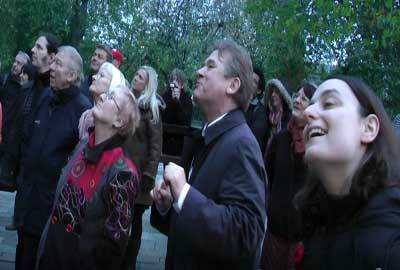 A walking tour puts you right in the thick of it so that you get to, not just see London, but also experience it. Narrow alleyways, that a coach or a bus would simply speed past, can become doorways of discovery through which you can uncover hidden gems of bygone London. Commemorative wall plaques, that you might just catch a brief glimpse of through a bus window, can be your introductions to forgotten residents whose stories will intrigue and engross in equal measure. A nondescript piece of street furniture, that you might not even notice from a coach, can be your key to unlocking the past, enabling you to connect with the everyday lives of long ago citizens. 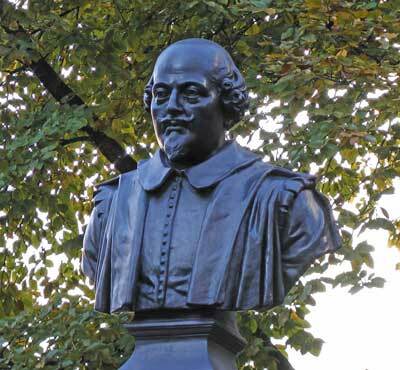 A rusting iron gate, that from a coach would look like nothing particularly special, can creak open to reveal an overgrown churchyard in which you can stand by the graves of some of the most famous and colourful figures from London's past. This is the London that guided walks help bring to life. The hidden and offbeat places that cars and buses simply cannot get to. The old buildings, ancient thoroughfares and atmospheric alleyways which, once discovered, are seldom forgotten. But, if you're going to explore London on foot, it's a good idea to do so in the company of a friendly and professional guide who has the local knowledge and the expertise to break the city's many and varied neighbourhoods into bite-sized chunks in order to make sense of the urban sprawl that is London. 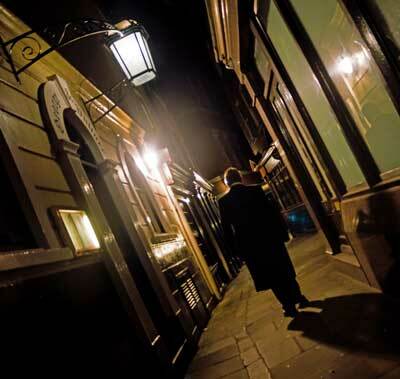 Richard Jones is the ideal companion to introduce you to secret and hidden London. Richard is a doyen of the London walking tour scene and he has been devising and conducting walks around London since 1982. But he's as far removed from the dry as dust school of guiding as it is possible to be. As well as being a first rate London historian, he is also a born raconteur and an accomplished entertainer whose passion for his subject, together with his natural flair for presentation, will breathe life into the history you will encounter when you join him on one of his walks. He is a member of the Institute of Tourist Guiding, the official governing body for tour guides in England, and is a proud possessor of the Blue Badge Tourist Guide qualification, the highest accolade awarded by the aforementioned Institute. You can, therefore, rest assured that you are in capable hands as you enjoy a memorable tour that proceeds at a gentle pace and which leaves behind the busy main roads to venture into the backstreets and hidden places where history was made and where time, well and truly, stands still. If you choose Richard, he guarantees to provide you with a quality tour and, to that end, he will go out of his way to ensure that you get the most out of your time with him. Richard's walking tours cover a wide variety of different neighbourhoods and themes and each one has been mapped out to ensure that almost every second of the walk is crammed with interesting and fascinating locations and stories. He totally understands that a tour should be as much about looking and seeing as about hearing and learning. He will, therefore, go out of his way to ensure that you get to see things that you might easily pass by without noticing them; whilst, at the same time, enlightening you as to why you should notice them, as he regales you with their stories and histories. It's these quirky, offbeat elements that help make a walking tour the best way to really experience London. 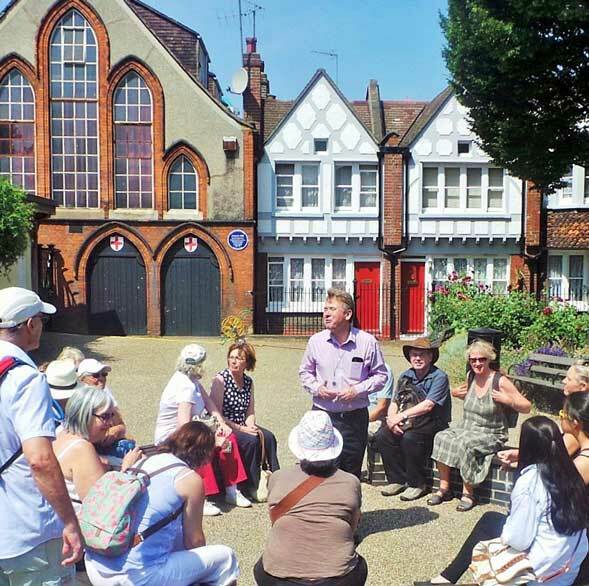 In short, each one of the London walking tours that Richard offers has been carefully crafted to achieve the perfect blend of interesting places and fascinating facts and stories. Richard strives to give you an unrivalled insight into the area and theme that your tour with him encompasses. 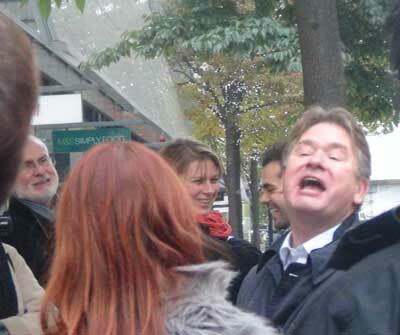 Richard conducts his walking tours at a relaxed and gentle pace. He prefers to think of his walks as being more like guided chats and discussions, during which you can interact with your guide and your fellow walkers. His tours feature frequent stops, at many of which you will be able to sit and rest as you listen to your guide tell you about your surroundings. It is this relaxed element that makes these walks such an enjoyable experience, since you're able to take your time. Richard always ensures that every member of the group has arrived at each location before he begins his narrative about that location. When crossing roads, he will always pause and ensure that every member of the group is safely across before continuing. In short, there's no rushing on one of Richard's London walks, and that's a promise! You can ask as many questions as you wish, and you can discuss the places visited as you enjoy two or so hours of leisurely and informed entertainment. There really is no better way to get the true feel for the backstreets and hidden quarters where the real London is just waiting to be discovered. Indeed, you'll be in the company of a guide who knows how to present his information in a way that is both informative and entertaining, which is why his London walks are as popular with residents as they are with visitors. He likes to think - and his clients seem to agree - that he's managed to achieve just the right balance of historical fact, intriguing gossip and juicy scandals (at least on the walks where we encounter juicy scandals) in a way that really brings the people you hear about and the area you explore on a particular tour to vivid and colourful life. He honestly believes that his clients shouldn't have to endure a guide who drones on and on in a dull monotone about dry dates and dusty facts. It's one thing to have the knowledge, it's quite another to have that rare gift of being able to impart that knowledge in a way that is going to keep your audience engrossed throughout the course of two or so hours on the streets of London. Richard is a born raconteur whose passion and enthusiasm for his subject will be apparent from the moment you meet him, whilst his talent at presentation will, quite literally, bring the streets of London to vivid and vibrant life right before your eyes. One of the comments that Richard gets, time and again, from those who join his walks is that people really appreciate the fact that they can actually hear their guide. It's surprising how many guides don't know how to project their voices so that every member of their group can hear what they're saying. Think about it. How many times have you been on a tour and the guide's voice has been drowned out by background noise, or has simply been inaudible? All those fascinating facts, interesting snippets of history, great anecdotes, or witty one liners missed because you simply couldn't hear what your guide was saying. In effect you have only had half the tour you paid for. Would you/did you really enjoy that? Wouldn't your tour experience have been so much more enjoyable if you'd heard every word and got the whole story, instead of just occasional snippets when the traffic noise decreased? 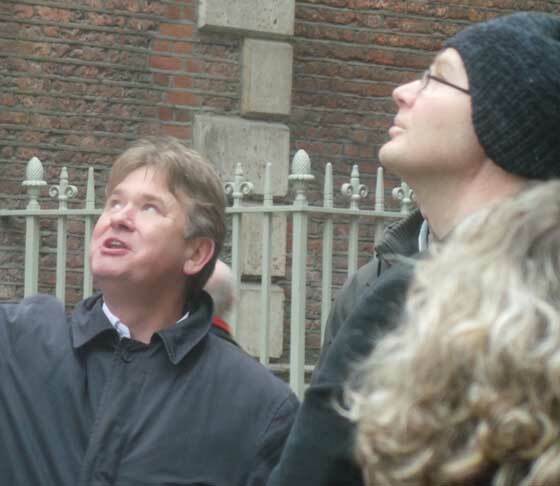 We think that guide audibility is such an important criteria for a walking tour that we make a 100% guarantee that, if you join one of Richard's walks, you'll hear every word, no matter where you're standing in the group. 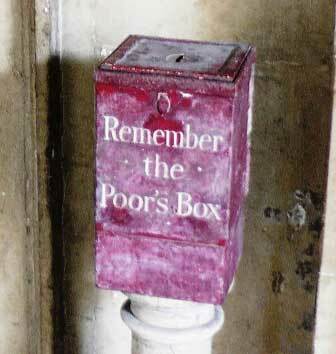 If you can't, we promise to make a no quibble refund to you. Richard never forgets that, when it comes to walking tours in London, there are a huge number of companies to choose from. Far more than were around when he began his walking tour guide career in 1982. So, should you choose to join one of his tours, he will go out of his way to ensure that your time with him is both enjoyable and entertaining. You will find him friendly, approachable and knowledgeable. As he puts it, he prefers his walks to be more like guided chats and discussions than like guided tours, so you are never obliged to simply stand there and listen. He encourages participants to feel free to join in, to interject, and to ask as many questions as they wish to ask. His tours are never rushed, and he's more than happy to stay behind after the tour, should you have further questions or should you be seeking recommendations for other things to do in London. Once you have completed a walk with Richard you get sent a summary of the tour which features a round-up of the information you will have heard and links to the websites of the locations visited so that you can go back to them again should you so desire. In addition, Richard also compiles a monthly list of free and unusual things to do, which features some great and unique suggestions that really will enhance your enjoyment of London. So, if you want to get to know London better, and you want to explore the City's colourful past and vibrant present in the company of an expert guide whose sole objective is to ensure that you enjoy an informative and entertaining tour, then give Richard Jones a try and see for yourself that, when it comes to London walks, his tours really do offer you a welcome difference. The Majority of the tours we offer are conducted by Richard Jones, one of the best known names when it comes to guiding in London. Richard is a published author with over twenty books to his credit, and he is frequently seen on television throughout the World talking about subjects as diverse as Jack the Ripper, Haunted London, The Norman Conquest, Charles Dickens, the history of Halloween, hidden and secret London, the historic pubs of the City and even Harry Potter's London. You'd be surprised how many guides, when developing tours, actually use Richard's books as their reference. But, for you, the client, why explore with a guide who has read a book when you can join the guide who actually wrote the book? 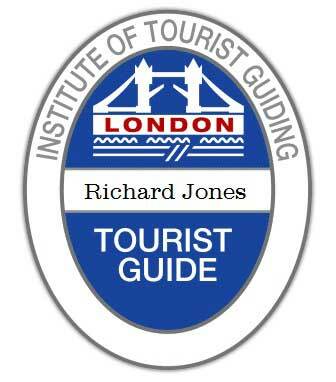 Richard is a fully qualified Blue Badge Guide - the highest accolade that can be awarded by the Institute of Tourist Guiding, Britain's governing body for guides. As a fully qualified Blue Badge Guide, Richard has undergone a series of eleven rigorous exams to test both his knowledge and competency when it comes to guiding in London. A mark of the esteem in which this sought after qualification is held is the fact that Blue Badge Guides are the only external guides permitted to guide inside Westminster Abbey, Windsor Castle, St Paul's Cathedral, the Houses of Parliament, and the Tower of London. Richard is also a lecturer on the Blue Badge course, which again is a tribute to the professionalism and experience that he has gained in his more than 32 years of guiding in London. He has been devising and conducting walking tours since 1982 and, over the years, has developed an enviable reputation for coming up with innovative walks that really do push the boundaries when it comes to getting under the skin of this great and fascinating city. Indeed, many of the well known walks that every company now offer were first devised by Richard. In 1988 he was the first guide to offer tours of Beatles London. The previous year his had been the first London walks company to offer Jack the Ripper Tours seven chilling nights a week. His ghost walks delve further and further into London's haunted realm and continue to be the most up to date walks as far as recent paranormal happenings go.